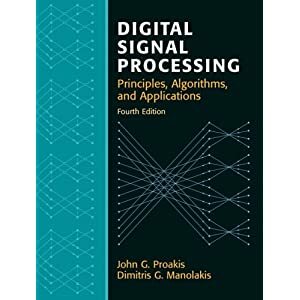 Download Digital Signal Processing: Principles, Algorithm & Application by Proakis and Manolakis - It is one of the most general books on Digital signal processing. Books written by Manolakis is always a standard so if you are really planning to study some good study material then download the book or purchase the book. What I believe is that if you want to just pass the exam then it's best for you not to download the book as it looks like a novel, means to me.. If you are good in studies then it's your call. If you are preparing for any exams like GATE then it's one of the best. Download the book and let me know if there is any problem with the link so that it can be updated soon.